HBO and Diaego have announced a partnership to bring Johnnie Walker to Westeros with a collection of nine whiskys. One of the most striking, visually, is the limited-edition White Walker blend best served out of the freezer… and with a special thermochromic ink on the bottle that changes according to temperature. 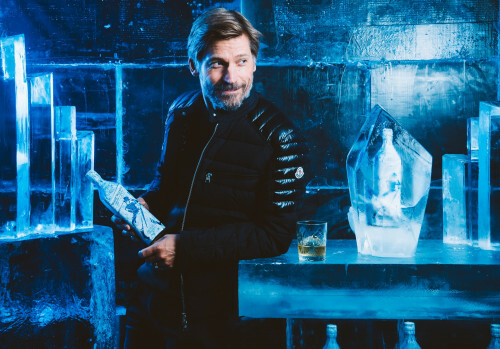 Nikolaj Coster-Waldau had a chance to enjoy it, though normally speaking Jaime Lannister would rather not face a White Walker. 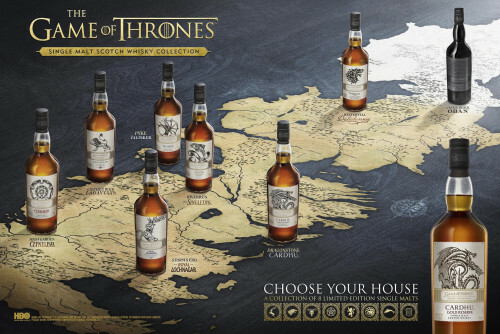 The eight additional whiskys are selected single malts, from Talisker to Cardhu to Lagavulin and more, dressed in house labels (and one, the Oban Bay Reserve, in a black bottle with Night’s Watch label) and with a range of prices. They’ll be released over the coming months.